The answer is YES, related to certain claims and circumstances. When you begin your family law case, it imperative that you discuss your exposure to paying fees awarded by the court or having those fees awarded to you. 50-13.6. Counsel fees in actions for custody and support of minor children. The court may in its discretion order payment of reasonable attorney’s fees to an interested party acting in good faith who has insufficient means to defray the expense of the suit. Before ordering payment of a fee in a support action, the court must find as a fact that the party ordered to furnish support, has refused to provide support which is adequate under the circumstances existing at the time of the institution of the action or proceeding. However, should the court find as a fact that the supporting party has initiated a frivolous action or proceeding, the court may order payment of reasonable attorney’s fees to an interested party as deemed appropriate under the circumstances. 50-16.4. Counsel fees in actions for alimony, post separation support. At any time that a dependent spouse would be entitled to alimony pursuant to G.S. 50-16.3A, or post separation support pursuant to G.S. 50-16.2A, the court may, upon application of such spouse, enter an order for reasonable counsel fees, to be paid and secured by the supporting spouse in the same manner as alimony. 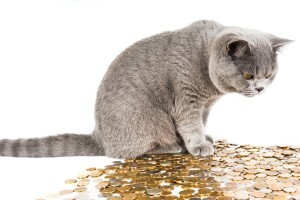 How Does this Impact My Raleigh Divorce Attorney Fees? It is important to note that attorney’s fees are not recoverable, related to equitable distribution except under very specific circumstances. A case for equitable distribution can require significant attorney and paralegal time, so it is important to understand that you need to make arrangements to pay for your attorney’s fees and not depend on a future award of attorney’s fees to offset that cost in most common situations. Typically hearings are held on the issue of attorney’s fees either during the hearing on the claim entitling you to the award or a separate hearing could be held at the end of the trial on all issues. How the claim is handled can vary by Judge or Jurisdiction. An attorney’s fee affidavit will be submitted outlining the amount of times spent on the particular claim. Opposing counsel may argue the attorney’s time spent or amount charged is unreasonable. Ultimately, the judge will make the decision as to whether to award attorney’s fees and how much. 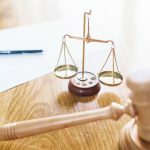 Judges are given wide discretion on this issue, so as long as appropriate evidence is offered and contained in the order, they can be difficult to change as part of an appeal. Because fees are awarded in the middle or end of the case, most attorneys will require payment up front for their services. It is better to think of an award of attorney’s fees as a reimbursement to you for attorney’s fees you have paid rather than expecting an attorney to wait for an award to be made and paid. 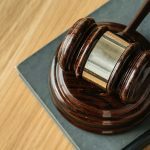 How is an Attorney Fee Awarded in North Carolina? The manner the fees are to be paid can also differ by Judge or Jurisdiction. I have seen large sums due in 60 days, and large sums being paid in small installments over a year or so, it is up to the judge. Again, this is why it is better to think of an award of attorney’s fees as reimbursement for amounts paid and not a requirement to keep your case going. You should explore other options to keep your case moving forward such as loans or withdrawals against retirement accounts, personal loans, or credit cards as a few examples.